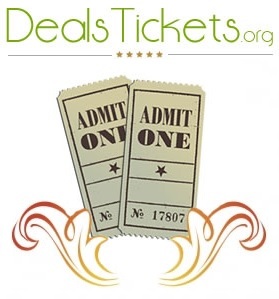 Sites to book hotel reservations, buy concert, pro sports or show tickets and shop online for various products allow users to receive the same or better deal as they could find at other sites and help a charity at the same time. Programs offered by Financial Firebird Corporation to organizations, at no cost, now include traffic generation of up to 20,000 visitors per month with no money or effort from the charity. Financial Firebird Corporation fundraising programs create donations for charitable organizations. With almost no effort or financial commitment required to set up the sites, any charity or company with a charity they like to support should take a look at getting involved. New marketing partners, joining in Financial Firebird Corporation’s programs to help charitable organizations, provide traffic generation of 5,000 to 20,000 visitors to fund raising sites each month. The traffic comes through online advertising, with payments for ads covered through a grant program. Our marketing partner helps take care of the application process and continued inclusion in the program. As long as a charity maintains its 501c3 status, the traffic can continue to the sites allowing the organizations to make money without any investment or effort on their part. 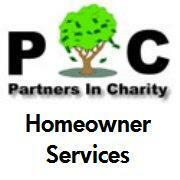 A previously announced series of websites to help charities with fundraising. The Fund Raiser Idea website serves as a home base for charities to read about how the sites work, each of the three fundraiser pages available and examples of the options within each page. Charities and non-profit organizations may customize a campaign that makes use of any combination of the three types of fundraising sites, excluding links when they do not want to offer a particular product or service with one of the Financial Firebird fund raiser website brands. Groups with their own following may also promote the site to their own supporters and constituents to buy the products or services they would buy in any case, and help their favorite causes by having Financial Firebird make a donation. The three main product groups include Hotel Deal, Ticket Deals and Shopping Deals. Prices and inventory offered on each page allows the sites to be competitive with other web offerings where the patron would not be aiding their cause too. Hotel booking prices match or beating other major national reservation services. Even against services looking at 100s of pages to compare travel sites and find the lowest price hotel, users will still find they get the same deal or better almost every time. Charities using the new marketing services may receive special new landing pages customized just for them to achieve better conversions and provide more information about the organization to potential views o that they might become customers or donors. The percentage of sales flowing to the charity as a donation varies by product whether or not the charitable organization elects to take advantage of the free marketing. 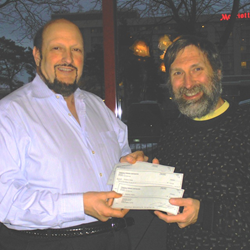 As an example of how the program works, three Chicago area groups just received checks totaling over $1000 for their ticket sales alone, with more money to follow for hotel bookings. 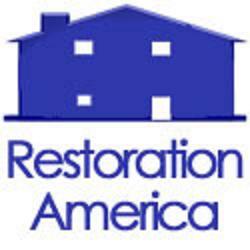 These charities include Restoration America and American Home Dreams which provide veteran’s housing services as well as Partners In Charity that helps people attain homeownership and those in homes to avoid foreclosure. As a part of the marketing efforts, some traffic may be driven to the charities own pages to promote their community programs or to gain volunteers. Groups may now figure enrolling in the program means money will roll in without any effort on their part. This system works even better for organizations already boasting a large number of active members or patrons with a regular emailing, who can augment visitors. Setting up the program requires a minimal amount of work, takes less than a week to be up and running and requires no fees to start up or maintain. For profit companies may use the system to support an organization, for example by getting their employees or customers to use the site too. These sites become co-branded to both the company sponsoring the activity and the charity to become the beneficiary of the donations, getting some nice publicity and branding for the sponsoring company too. With almost no effort required to set up the sites any charity or company with a charity they like to support should take a look at getting involved. Financial Firebird Corporation provides unbiased consumer information, software and marketing services for the mortgage, personal debt, foreclosure, auto lending and other financial, travel or real estate related industries as well as marketing, financial and website services for all companies. 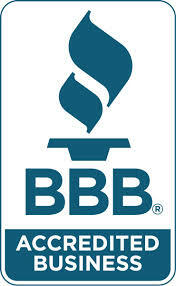 Established 2000 and a proud BBB member.